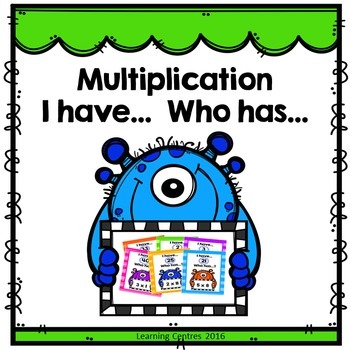 This free I have... Who has... game will help students to learn and practice their multiplication and times tables skills. This game is suitable for Year 2, Year 3, and Year 4 students. It contains multiplication facts from 0, 1, 2, 3, 5, and 10 times tables.